[06-Sept-2012] Click here to view video at CBC.ca. CBC News – Local councillor, bylaw officials warning students living in Sandy Hill to calm their partying ways. Almost a dozen Sandy Hill residents came out in support of changes to the way the city’s noise bylaw is enforced, but many said there needs to be even more attention to fix the “free-for-all party destination” reputation Sandy Hill is gaining. Just days before the May “two-four” weekend, the community and protective services committee heard from several frustrated residents who complained their quality of life is deteriorating because of out-of-control partying in the neighbourhood, which borders on the University of Ottawa. The city’s new infill guidelines were discussed at an April 10 meeting and at the request of Rideau-Vanier Coun. Mathieu Fleury, Kitchissippi Coun. Katherine Hobbs put forward a motion to include a potential amendment governing home conversions. 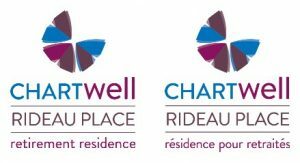 Demolition proposals for the Richcraft-owned properties at 588 and 592 Rideau Street and 165 Charlotte St. were submitted to the city on April 12. After demolition, Richcraft is proposing to put grass on the cleared site, creating a city-leased park.